Nothing could illustrate the stark contrast between a post-1994 democratic South Africa and Israel’s apartheid structures than the iconic photo of Hector Pieterson. The picture of a dying 13-year-old Pieterson shot by police in Soweto on June 16, 1976, was listed by Time magazine as one of the 100 most influential images of all time. The person who took the powerful photograph, Sam Nzima, died a few days ago at the age of 83. At the time he was covering the Soweto uprisings for the World newspaper and recalled the tragic events of that day including how he hid the fateful film in his sock which police failed to find. Hounded and persecuted by apartheid’s security forces, Nzima’s future in journalism was destroyed. But, the elite rightwingers in control of Afrikanerdom knew the photograph which was splashed across the front pages of influential papers around the world, would spell doom. Indeed, Sam Nzima’s brilliant picture has been credited as being a key instrument in turning global opinion against apartheid. “No picture more powerfully captured the horror and brutality of apartheid, or did more to galvanise international revulsion against it,” wrote Chris Barron in his obituary of Nzima in the Sunday Times. In addition, he observed that in terms of impact and effect, the photograph was in the same league as Associated Press photojournalist Nick Ut’s picture of a naked Vietnamese girl running down the road screaming in agony after being caught up in a US napalm strike, which changed American perceptions of the Vietnam War. As fate would have it, Sam Nzima’s death and the recollection of the power of his camera planting “the seeds of international opposition that would eventually topple the racist regime…,” as recorded by Time magazine, coincides with news of Israel’s bizarre attempt to replicate South Africa’s notorious apartheid laws targeting media freedom. Strange but true that while South Africa mourns the great legacy of a renowned photojournalist, Israel adamantly pursues draconian measures which dinosaurs such as Vorster, Botha and their contemporaries would have applauded. The “new” bill before Israel’s Knesset seeks to ban taking videos or photos of Israeli soldiers in the process of arresting or subduing Palestinians. Inverted commas denote that “new” is in effect archaic if associated with apartheid South Africa. Once legislated, it will result in a punishment of between 5 to 10 years in prison for merely recording encounters between Israeli soldiers and Palestinians. Just as Sam Nzima was punished for his picture of Pieterson by the securocrats of the old Nats, so too have journalists in the Occupied Palestinian Territories (OPT) been targeted by Israel’s notorious occupation forces. Many have been deliberately shot, injured and killed by IOF snipers. Victims of the atrocious crimes are brave journalists who courageously place themselves as Nzima did, between protesters and killers. As the toll of unarmed Palestinian civilians who are wilfully executed, rises, so too do the number of journalists killed or injured in line of duty in Gaza increase. The blanket veil to be thrown over Israel’s horrific military conduct is censorship of the worst type: freedom of information. It will render photography as a crime and seek out the Sam Nzimas amongst Palestinians as well as fraternal members of global media to outlaw. Whether or not the Netanyahu regime knows the power of Nzima’s picture and the equally powerful impact it had in shaping public opinion against racist dehumanization of the “other”, clearly the censorship bill is aimed at halting the severe damage caused to Israel’s claims of being a “civilised democracy”. A futile attempt to salvage an image of “righteousness” which most historians and commentators confirm never existed. Indeed, the racist ideology of Zionism whose adherents are bent on continuing the ethnic cleansing of Palestinians which commenced more than 70 years ago, and is evident in the horrific bloodbath in Gaza, can never be reconciled with “righteous virtues”. The case of 16-year old Ahed Tamimi, who bravely stood up against Israeli terrorists, and whose “crime” was recorded by members of her family – provides an interesting insight into how the proposed legislation will criminalise citizen journalists instead of the perpetrators of injustice wearing Israeli military garb. 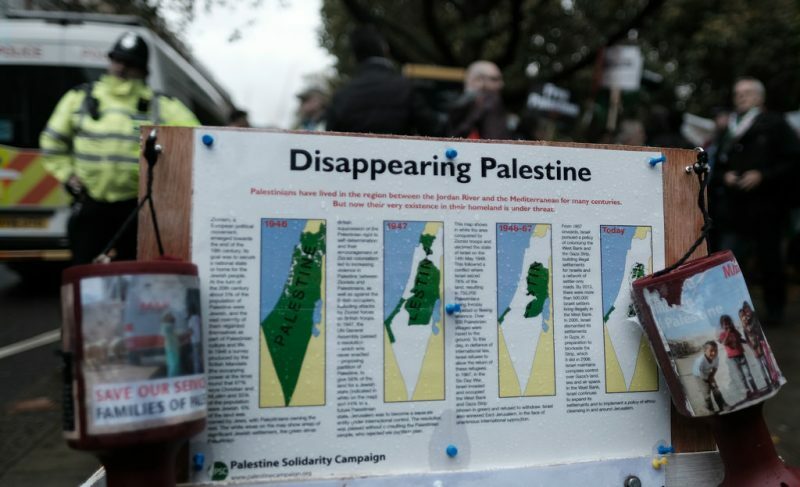 Undoubtedly any attempt by the settler colonial regime to conceal hideous crimes against Palestinians, yet again will confirm the view held by many around the world including governments, that Israel is intent on wiping out the very existence of the indigenous population. Next articleWorld Affairs and Insanity as Entertainment: Are we at the End of Human Morality?